With the new year here, I thought I should finally upgrade my mash paddle/wort stirrer. 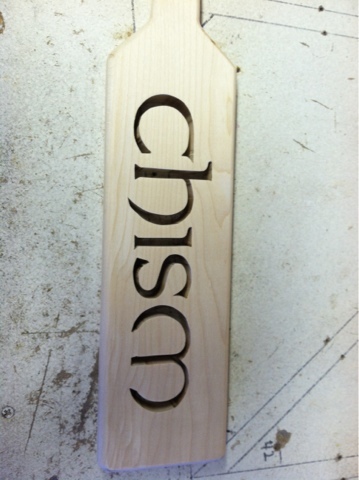 I bought a 3/4"t x 3 1/2"w x 3'l piece of maple. I opted for maple for it's strength and it doesn't present the possibility of leaching tannins into the wort like oak might. The blade of the baddle is 1' long leaving a 2' handle. The handle is 1 1/4" wide and the whole paddle has a 1/4" round-over routed into it. The handle is the same width as a typical framing handle and it's very comforatable to hold. I needed to create some holes in the blade so that it can pass through the grains easily. 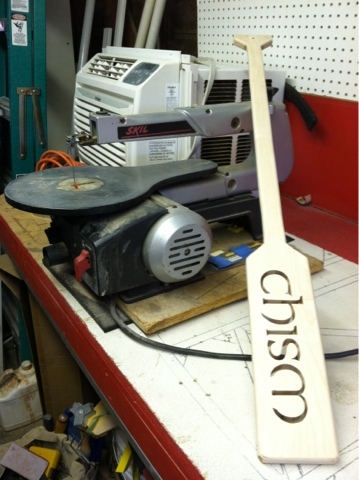 Most people simply drill 1" holes into it, but I figured I don't need that much material removed from the blade, so I decided to make it classy and scroll saw my name into the blade. I can't wait for my next brew day to test it out! 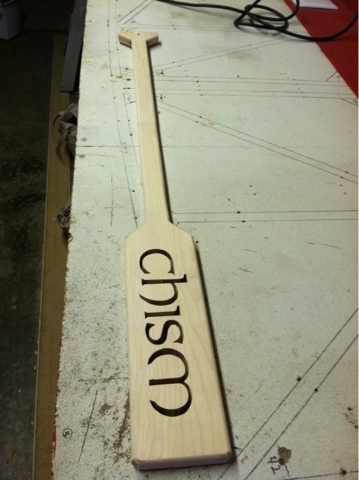 Curtis, love the mash paddle! I need to find myself a jigsaw and make one for myself. I also went through your site, very nicely done.